What would you do if a raging blizzard had you trapped in the airport with nowhere to go, nothing to do, and only a wild, endlessly charming boy for company? And what if it was also the one-year anniversary of your best friend’s death? As Ryn and Xander start to explore the Denver International Airport terminal by terminal, they help each other come to terms with their ugly pasts and the secrets they’d long kept locked away. They slowly give each other the strength they need to board the plane back home, but as the hours tick by, they find in each other more reason to stay. THE CHAOS OF STANDING STILL is a fantastic modern spin on the classic star-crossed love story that will have you wishing all your flights this summer get delayed. This one is a classic and will definitely give you chills when you’re soaring above the clouds. When our protagonist Brian survives a plane crash in the middle of the Canadian Wilderness with only a hatchet on his belt, he must learn how to survive, and fast. Battling bugs, hunger, wolves, and isolation, Brian gives us the perfect survival story to have with you just in case your plane takes a tumble. You’ve probably heard all about the Thirteen Reasons Why series that aired Netflix last spring, but the lesser known book it’s based off of is a must-read. Following the same basic plot as the show, the novel follows a teen girl’s suicide and the mysterious cassette tapes she left behind for the thirteen classmates she claims were the “reason why” she did it. 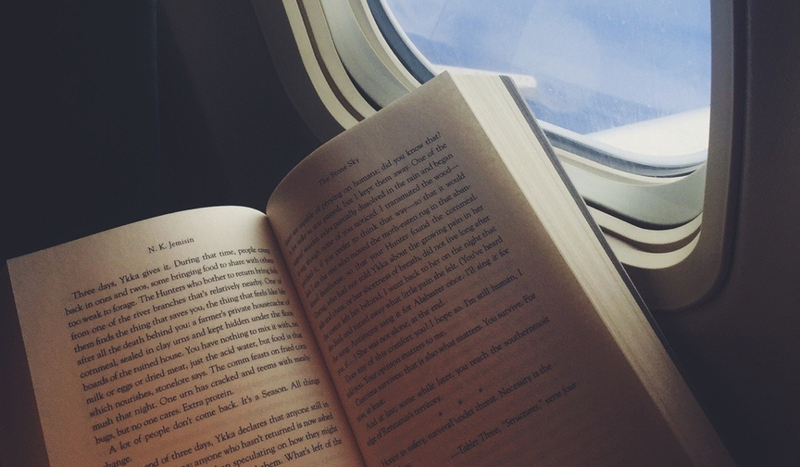 The book is impossible to put down from the start and easy to follow – perfect for a long flight. Then, once you get back on the ground, you can immediately jump into the Netflix series and see how it measures up.